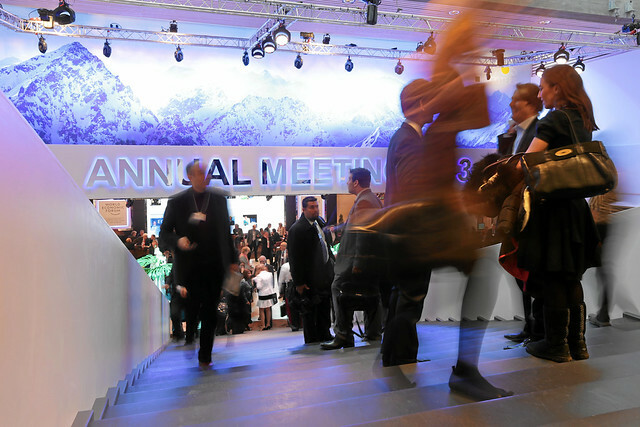 The fourth day of the climate conference in Doha was the official YouthDay, the only day people under the age of 18 could officially participate at the conference. On one panel two grand dames of the climate and human rights negotiations confronted the young people with one particular question: Are you angry enough? Christiana Figueres and Mary Robinson demanded in direct talks with students from all over the world that they should raise their voices and make themselves heard. The have to show that they care about climate change because of a simple and clear reason: It’s the world they have to live in tomorrow. Christiana Figueres, Executive Secretary of the United Nations Framework Convention on Climate Change (UNFCCC) from DW_Global Ideas on Vimeo. Mary Robinson, former President of Ireland and United Nations High Commissioner for Human Rights from DW_Global Ideas on Vimeo. Did the youth raise their voices? Come back here tomorrow, to read more. One of the most important speeches to take place at the COP 17 talks in Durban, South Africa didn’t come from a high-ranking politician, it didn’t come from an environmentalist organization, it didn’t even come from a delegate. One young woman made a splash at the conference, and her name is Anjali Appadurai. The college student from British Columbia gave an inspired speech on climate change on behalf of her generation, and it impressed conference participants as well as people around the world. Check it out! The New York Times recently featured an interesting article about what one major city is doing to prepare for the inevitable: global warming. The U.S. city of Chicago, known as the “Windy City,” is used to cold winters and pretty warm summers, but those summers could get a lot hotter, and soon. 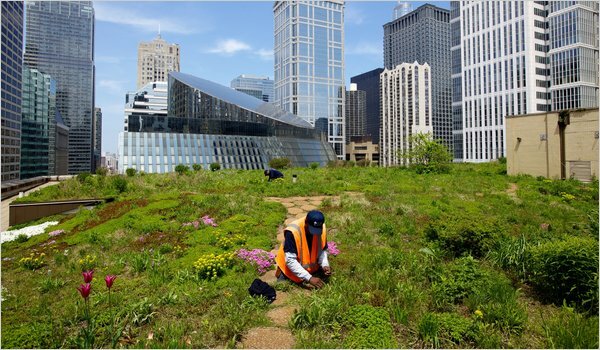 A team of climate scientists put together a report for city planners about the future of Chicago as the city continues to get warmer. And the city was in for a shock: by the end of the century, Chicago could experience temperatures of 32 degrees (celsius) or more for up to 72 days. The city only got that hot for about 15 days a year during the last century. That added heat could have some serious consequences, like damaged roads and property as well as more heat-related deaths every year. So city planners are being proactive. They’re using thermal radar to find Chicago’s hottest zones and adding green vegetation there instead of pavement to create a cooler surface. Concrete streets are getting a facelift, too, with a fresh coat of pavement that lets rainwater seep through into the ground below. And the state’s famous white oak trees are being replaced with special trees that keep cool in hot climates–like sweet gum trees. Chicago wants cope with its warming temperatures now rather than later in the hope that the transition won’t be so tough later on. So what do you think: is this a good model for cities to prepare for the future? Anoka Primrose Abeyrathne has been an eco-activist for 14 years. She was nominated as a Climate Champion and Global Changemaker by the British Council. Anoka is also an AshokaYouth Venturer for Social Entrepreneurship. For the GLOBAL IDEAS Blog she will be writing about her work as a Climate Champion and her experiences with climate change. People my age like to have fun. That is why the initiative we set up, is a “fun + action” initiative. Within the Sri Lanka Youth Climate Action Network (SLYCAN), we organize debates at university level, beach parties, replantation or clean-up campaigns, interactive workshops, discussion platforms, art exhibitions and and street theatre plays. All of these activities are popular with children and young people. They are the catalysts of change in the society, in becoming eco-responsible adults. As a volunteer for the NGO EMACE Sri Lanka, I work with the communities of Bolgoda Lake in Sri Lanka on a grass roots level. This way we are creating a win-win situation. On the one hand we save the mangroves in the region. On the other hand we help the villagers by promoting eco-tourism or solar fishing lamps. We help to develop sustainable fishing techniques and we are looking for customers for the handmade and eco-friendly products of the people. A programme to train eco-tourism guides, handicraft methods and sustainable fishing is ongoing. All of these projects will be expanded at national level, collaborating with branches of EMACE and SLYCAN islandwide. My work enabled me to be the SAARC Youth Award Recipient 2010, for Outstanding Contribution to the Protection of the Environment and Mitigation of Climate Change. 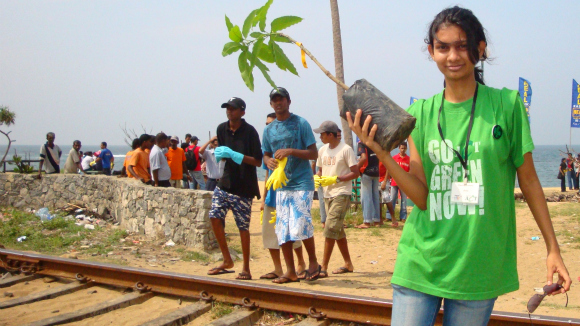 These may be small steps but the impact is growing and creating a wave of eco-positive change among youth in Sri Lanka.